What if you could have low cost 10Gb cable option for your networking connection? 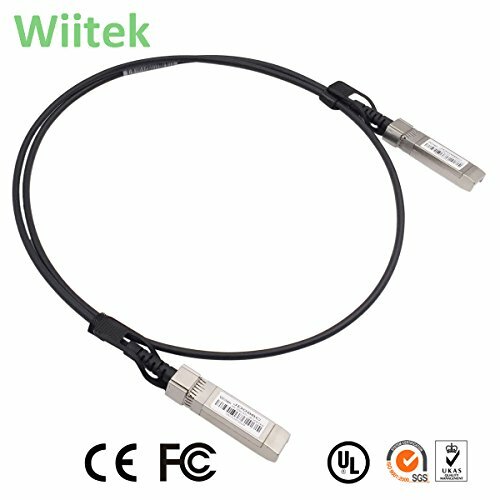 Wiitek for HPE FlexNetwork X240 10G SFP+ Direct Attach Copper Cables provide 10 Gb connectivity to meet the bandwidth requirement in data centers and cloud-based services. Compared with optic solutions, the copper cables are cost effective solutions for within a rack and between racks connectivity. This type of cables is the critical interconnect in the server and HPE branded cables are 100% tested and tuned for HPE switches and adapters in various platforms. Wiitek for HPE HPE FlexNetwork X240 10G SFP+ Direct Attach Cables offers a cost-effective alternative to fiber optics in 10 Gb connections. 10G SFP+ Twinax cable assembly. If you have any questions about this product by Wiitek, contact us by completing and submitting the form below. If you are looking for a specif part number, please include it with your message.